Tim Wallace: UK Seminar to Support Disadvantaged People. UK Seminar to Support Disadvantaged People. In the seminar Tim will be talking a little about his own work, photography and how to get the very best from your images as well with hints and tips all delivered in a witty, down to earth manner, followed by a Question and Answer Session. 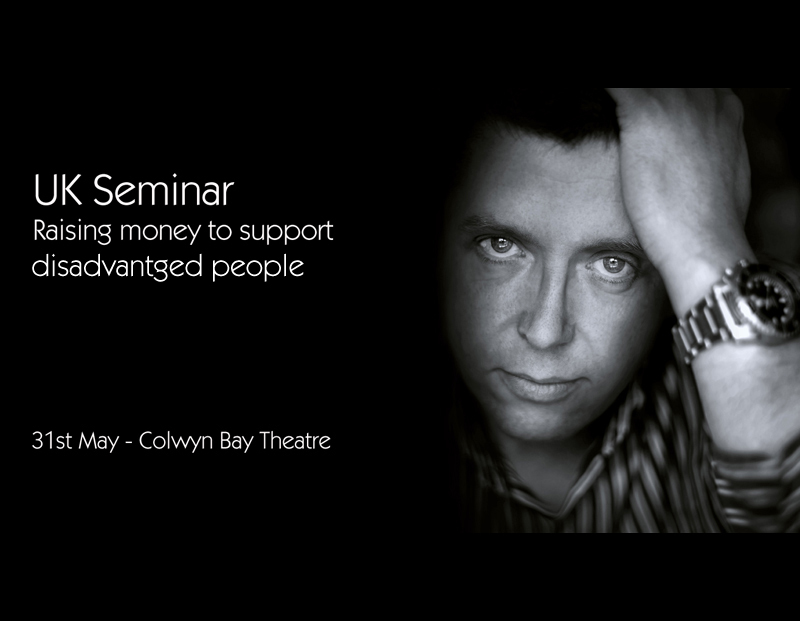 The Seminar will take place on the 31st May 2014 at the Colwyn Bay Theatre and tickets are limited to 300. Tim has been described recently by Scott Kelby as one of the Ten most influential photographers in the World today. With assertions made like that and a client list consisting of Aston Martin, Land Rover, Lamborghini, Ferrari and a impressive collection of fantastic images to match, this seminar will be one not to miss. UK 'Inspired' Seminar for just £9.99 with all proceeds, including Tim's fees, going to the charities to help disadvantaged children. Tim - "As many of you who follow me will know, I don't give many live seminars these days many due to my workload and travel commitments and indeed my only major planned appearance this year will be at PSW in Las Vegas. However a few months back I met a very special lady called Sarah Jones who owns a local camera shop in Wales, over the weeks we spoke about different things and I learned that Sarah gave a lot of her time to help disadvantaged children and people who had fallen on hard times and needed a 'hand up' not a hand out… Sarah is an amazing person and both her and her husband dedicate a lot of their valuable free time to help in this cause. 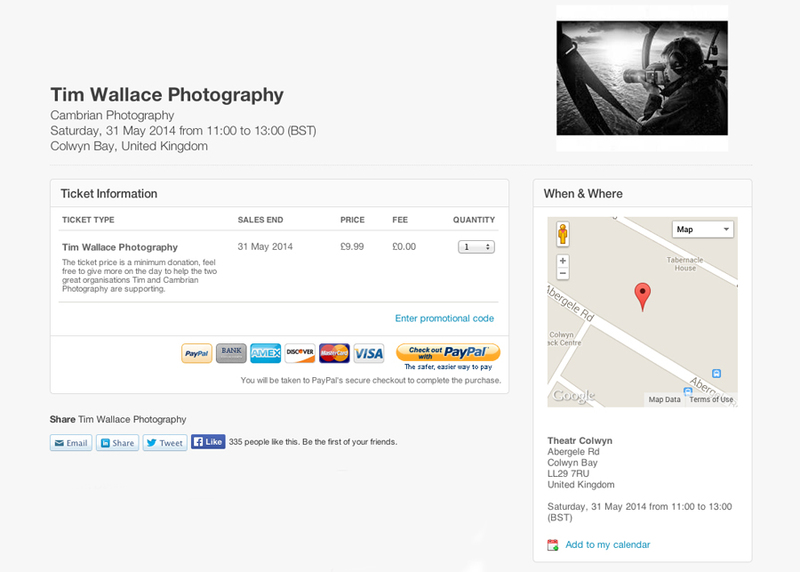 Sarah's business Cambrian Photography, in Colwyn Bay have an event on Saturday the 31st May and I came up with the idea that it would be a great idea for me to attend this event and offer to do a short talk to help out. This has since grown and now we have the free use of the Theatre at Colwyn Bay with 300 seats available for us and I will be now giving a 2 hour Live seminar on photography, talking about my own work but also giving advice on how to get the best from your equipment, looking at the whole mindset of shooting better pictures and also better lighting on all budgets, so very much a open inspirational seminar and not about cars or business so very much I hope open to all. There will also be a open question and answer session at the end for anything at all that you would like advice on. This is my only planned talk in the UK this year and I would very strongly urge people that for all those that mail me and say that they would love to come and hear me talk live then this is your one opportunity to do just that and for only £9.99. I am not taking any payment for this at all so ALL money raised goes to the charity to help those that most need it. This is a cause that is very close to my heart, many people are unaware that after a violent childhood I ran away from home at the tender age of 15 and lived on the streets of London for while, it was cold and difficult and a very hard time for me but for the kindness of a woman who owned a small cafe in Covent Garden I would most likely not have survived that winter, she gave me a 'hand up' and from there I made my way in life and built what I have today so I would urge you not just to say its a great cause but to do something positive and either make a donation to the cause directly or come and see me and hopefully we can use this day to make a real difference to people who need it most so that they can go forward as I did and achieve all the things in life that they are meant to."